The DBAL-PL enables operators to engage targets on the battlefield or during close quarter combat in both light and no light conditions. The DBAL-PL functions in two operational modes: The Visible switch activates the visible laser and 500 lumen white light LED; while the IR switch pairs a Class 1 IR laser with an eye-safe IR LED illuminator for supplemental illumination. New temperature insensitive green laser technology provides better visibility and great stability over a wide-range of temperatures. Available in Black & Desert Sand. 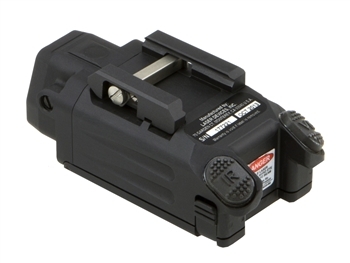 Perfect DBAL if you are looking for something that can work both on your pistol and also your rifle in conjunction with your PVS-14.